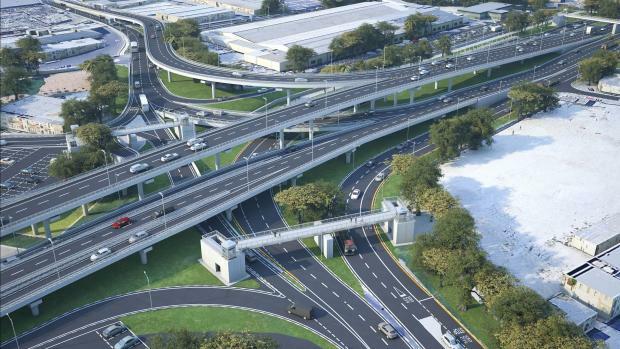 Foundation works on the first two of seven flyovers at the Marsa junction are under way and both should be up and running by this summer, Infrastructure Minister Ian Borg said on Monday. The first two flyovers will connect traffic flowing between Triq Aldo Moro and Triq Garibaldi. Addressing a press conference to give updates on the €70 million project, Dr Borg said the third and final stage of the revamp to the thoroughfare was well under way. “While we are busy laying foundations for the final stage of the project, much of this work is not visible to the public so there might be the impression that the project has stalled. This, however, is far from the case,” he said. Once completed, the Marsa junction project will be home to the tallest, widest, and longest flyovers on the island. The tallest part of the intersection will be around four storeys high climbing above another lower flyover. The two longest sections, extending over 400 meters, will connect Triq Garibaldi to Vjal Sta Lucija and Triq Aldo Moro. The widest of the seven structures will include four lanes, forking into two different flyovers each with two lanes. The flyovers, which are expected to be fully installed by the end of next year, cover around 12 km of either new or completely restructured lanes and will create new northbound and southbound connections between Triq Aldo Moro and Vjal Sir Paul Boffa, Vjal Sta Lucija, Triq Giuseppe Gaibaldi and Triq il - Marsa. Infrastructure Malta chief executive Frederick Azzopardi told reporters how contractors were currently excavating and casting the first clusters of around 460 concrete and steel piles that will support the flyover structures’ 42 pillars. These will in turn support 350 horizontal beams, roughly 30 meters long each, upon which the new lanes will rest, replacing the junction’s old traffic light system. He explained how once the foundations were laid, Infrastructure Malta would oversee the casting of concrete platforms upon which the pillars will be constructed. The first two flyover structures will include 14 pillars. The contractors are also busy excavating and building over two km of walk-through culverts, which will host new high-voltage power cables as part of an upgrade to the area’s energy grid. An additional 13.5 km of water, sewage, storm water, electricity, internet and other telecommunication underground networks are also being installed beneath the road surface as part of the project. “This means that when there is a fault or when new services need to be installed, we won’t have to rip up the tarmac like in the past,” Minister Borg said. This final stage of the project will also be when the 1.6 km of new footpaths and cycle lanes are added to the junction. 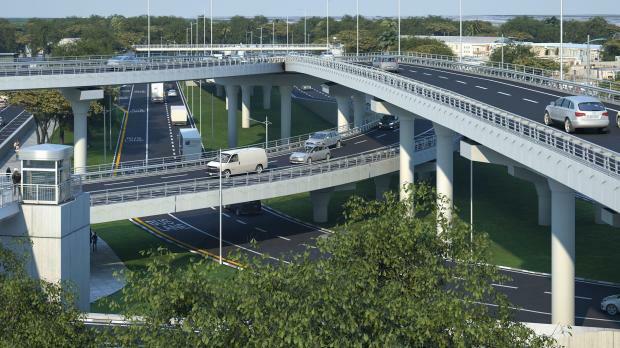 Three pedestrian bridges, four new bus laybys, new bus lanes, and a 380-space park and ride facility will also be completed in this final part of the project. Around 100,000 vehicles pass through the Marsa intersection every day. Mr Azzopardi said the installation of the seven flyover structures would require reworking of the traffic flows and lane system. “The first of five changes for motorists passing through this intersection will come in a few months once the first structures are laid. These changes are based on studies of the traffic flow in and around this junction and are meant to cause the least congestion and disturbance,” he said. The major changes to traffic flows, he said, would come in between the second and fifth phase of the installation of the flyover structures.